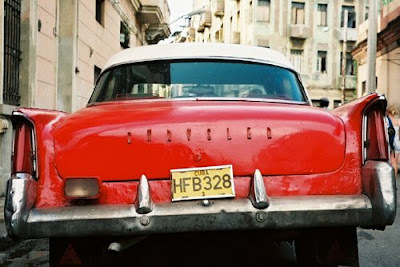 Last year I spent a lot of time in Cuba researching a book called Fifty Grand. I wrote much of the novel at the atmospheric Ambos Mundos Hotel in Havana where Hemingway wrote For Whom The Bell Tolls. Its your standard murder mystery/ Scientology/ Hollywood/Cuban Secret Police/conspiracy novel, but I like it. 50G won't be out until early next year but if ya want to read chapter 1 then please click: here (comments much appreciated). 50 G will be published by Holt in the US and Serpents Tail in the UK.